In everyday life we are surrounded by a whole world of different vibrations such as colours, sounds, emotions, moods and in between all of this, moments of silence. The vibrations spread by the ‘crystal sound’ bowls are unique due to their purity. They help us to become deeply connected with ourselves and allow us to sense our true needs. Crystal sounds help us to overcome blocks and tensions and lead us towards a state of harmony and inner balance. Vital energy fills the body and a very deeply felt inner calmness is felt. This new inner balance soothes the nervous system and thus aids us in finding our own creative solutions to the situations we are facing. In my work I use a set of 14 different crystal bowls that cover the full range of the musical scale. I hit the bowls with a small drum stick and the first thing you hear and feel is a dominant note which will soon be accompanied by so called “overtones”. Some are audible, some aren’t. It’s this variety of harmonies that will penetrate your body and mind and help to regain inner balance. 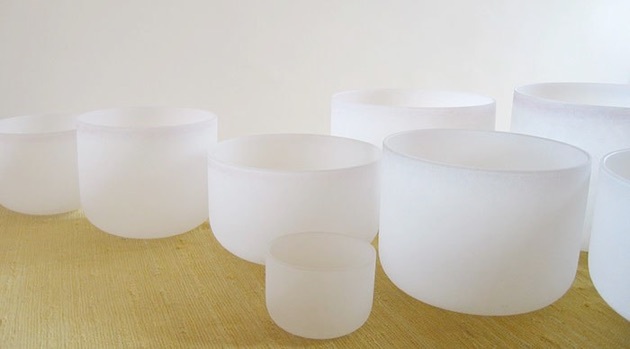 The crystal bowls are made of quartz silicium with a 98.9% degree of purity. Each bowl is assigned to a dominant note which varies in sound, depending on the size and density of the bowl. Whether you want to enjoy the relaxing effect of the crystal sound or reflect on an individual topic with the help of crystal sound – either as a single person or as a couple – an individual session will be a good choice. To begin with, I will ask you to sit or lie down in a comfortable position. After a short introduction, the sound of the crystal bowls will begin. A sound session of forty minutes will be followed by ten to fifteen minutes of silence. This time is needed to digest whatever has been evoked by the sound. After that you will regain total wakefulness. During the session you might feel energy moving in different parts of the body; you may get in touch with your emotions, see colours or images; and sometimes memories that have a special impact on your current life come to the surface. After the session, many clients report to have experienced a state of relaxation, healing and clarity. After a number of sessions and when you have become familiar with crystal sound bowls, you may assign a certain intention to the individual session and allow the sound to lead you to your unconscious. The sound will then help you to gain clarity in your chosen situation and to see it in it’s proper perspective. It is possible to work in an individual session with the crystal sound on many issues and subjects. This is because the sounds help to create a state of clarity, awareness and help to expand the inner natural wisdom. There is a possibility to share and talk about the issue in individual sessions that can add further support to the work of the crystal sounds. If you are looking for a relaxing experience or crystal sound meditation, you are welcome to join my crystal sound group sessions. Lie down and make yourself feel comfortable. After a short introduction, the sound of the crystal bowls will start. 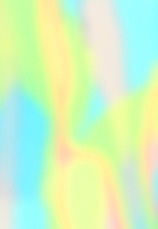 You will bask in a blanket of sound for forty minutes which will be followed by ten to fifteen minutes of silence. Let the sound enter your body and soul and let yourself be surprised what the sound will evoke within yourself. After that you will regain complete wakefulness. You are free to ask any questions to help you reflect on the experience. The sessions take place in a peaceful environment, with the body relaxed, eyes closed, surrounded by silence. Attention is brought to the rhythm of the breath, the soft beat of the heart. In this silent void, the first subtle ringing echo of a sound – ancient but familiar – is heard. A second chime is followed by a third, closer and the harmonies become more intense. In the rhythm of the increasingly diverse sounds, the body feels light and pleasant surprises occur such as the opening of new channels for listening, no longer limited to the ears, but felt in every sinew and nerve. The sound of the bowls then becomes constant, with an intensity to penetrate into the blood, appearing to make the whole body and mind liquid. The sound of the bowls can stimulate new visions never experienced daily in the state of consciousness; visions related to a state of wellness in body and soul normally hidden through the interference of the ego and everyday problems. On this healing journey, the crystal sound brings us to silence, stimulating the chakras, and dissolving the sensation of the physical body until it appears to become ‘the sound itself’. In this state, one may experience a feeling of deep fulfillment. The experience ends as a soft awakening from a deep and restful sleep, while the vibrations of the crystals continue to resonate in the body and soul.